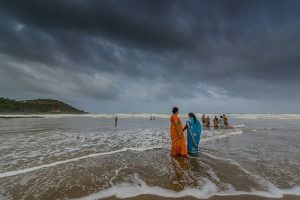 The major part of India doesn’t have much variety to offer when it comes to weather. It’s either sunny and hot or it is rainy and warm. That’s why June is actually quite interesting because it has a mixture of both! The Southwest Monsoon usually hits Kerala in the South of India by end of May or beginning of June. It’s almost like a Suisse watch – always on schedule! Afterwards it travels up north along both the east and west coast (but is usually stronger in the west coast.) By mid-June it arrives in Goa and Mumbai, then by the end of the month it will be happily welcomed in Rajasthan and Delhi before it makes its way up to the mountains. Find out more about the effects of the rainy season and how it can impact your travels in this blog. In most of India June starts as another hot month with ridiculous high temperatures of 35°C plus but can end with lots of rain and a resurgence of greenery and water resources. Locals are looking forward for the first rain drops in June as it brings heat relief and a comeback of agricultural activities. Fields turn a lush green. Streams overflow with water. Waterfalls spring up on previously bare rock faces. It’s a pleasant event to watch! However, for visitors it might not be the best month to visit. But that depends where you want to go. The monsoon starts its downpours in Kerala while Tamil Nadu and the east coast get rather less rain and even struggle with droughts in some years. Due to the tropical flora and fauna on the west coast, nature comes alive and formerly brown grass fields and leaf-empty trees turn to a lush green. However, the constant rain can also cause interruptions for travels and activities. In Goa, many resorts, restaurants and shacks will be closed from May to September, similarly at the beaches of Kerala. If you find a resort that stays open though you can catch great discounts on stays, even at luxury stays. If you still decide to travel despite the humid and wet weather we would recommend to concentrate on the Western Ghats, a 1600km long mountain range listed as a UNESCO World Heritage Site parallel to the coast of the Arabian Sea. The region is covered with national parks, wildlife sanctuaries, forest reserves as well as charming hill stations. You can’t just find various wild and unique flora and fauna species in those hills but also endless fruit, tea and coffee plantations. And in June they offer cooler temperatures and less stuffy air than in the cities and plains of India. Check out Wayanad, Munnar and Thekkady in Kerala or the Dudhsagar Waterfall Hike in Goa. Ooty in Tamil Nadu is very popular amongst domestic tourists to flee the heat of the cities. The rain arrives later in the north of India. Therefore, the popular tourist regions of Rajasthan and the often visited cities of Delhi, Agra, Varanasi and Amritsar stay dry and hot until end of June. However, it can get cloudy already which causes a drop in temperatures compared to May. But we don’t want to butter it up: it is hot, it is humid and it is exhausting. Try to avoid the plains of central India in May and June. 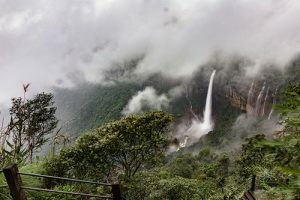 The east stream of the monsoon winds hit the northeast of India by the beginning of June and some regions like Meghalaya get an intense amount of rain. Rather plan a visit to this region after October. 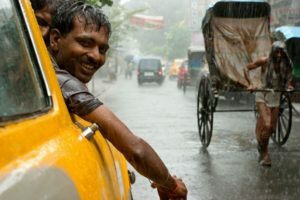 June is not the top choice of months to travel to India but it is possible and can be surprisingly exciting. One has to be prepared for high and low temperatures, lots of rain and humid air. Travel plans should be made for the mountain regions rather than for the plains of India. Catching the first drops of rains after more than seven months of dryness can be quite an experience and the resurgence of green and lush nature is a pleasant sight. 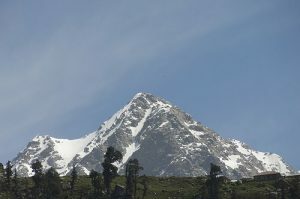 The very north of India in the Himalayas offers the best choice of travel destinations in June as the temperatures are moderate and the precipitation low. You can still travel to the foothills of the Himalayas and enjoy the cooler temperature there as it rains rarely at the beginning of June. Places like Rishikesh, Manali, Kasol and Dharamsala are very popular amongst international and domestic travellers this time of the year. However, by the end of June heavy rainfalls can cause landslides and trekking and other outdoor activities become impossible. You would need to stay indoors most of the time – a waste of time in our eyes. If you want to escape the heat and the monsoon all together and enjoy stunning landscapes in the mountains, Ladakh or Lahual Spiti might be the best destination in India in June for you. The state in the most northern part on India in the midst of the high mountain ranges of the Himalayas offers breathtaking views and great opportunities for hikes. Ladakh is also called the cold desert for a reason as the precipitation is very low up here. In June days are moderately warm and the nights pleasantly cool. But it is also the main tourist season for this part of India so be prepared that it won’t be as tourist-free as the rest of India. Plan your trip to India in June with us now and we will suggest the best places to enjoy during this travel time.